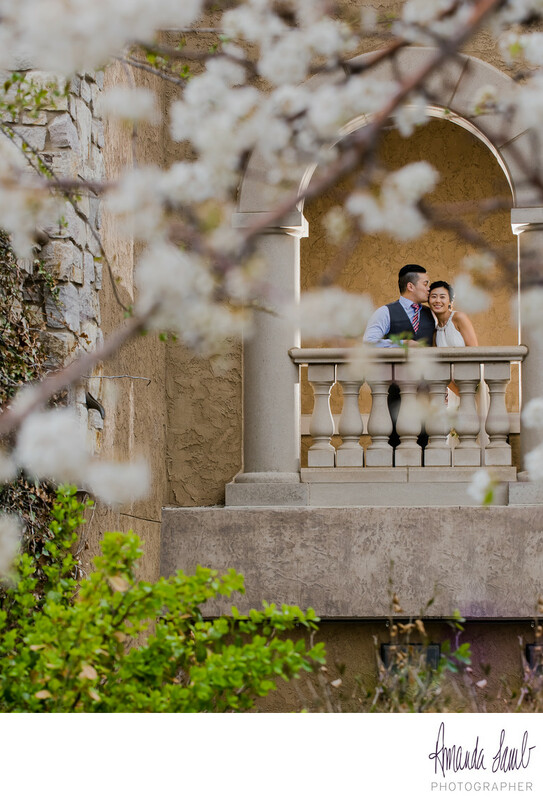 This couple got married in the spring time with all the crabapple trees around the grounds of Cherry Creek Country Club in full bloom. Their traditional Korean ceremony was said in Korean, and the couple was surrounded by all their closest family and friends, many of whom traveled from outside the USA to be present with the couple. Their Denver nuptials took place during what promised to be an epic Colorado spring snowstorm, but ended up only being a little bit of clouds and mist. This couple had all the benefits of spring time blooms, and they were so happy they risked the weather for their beautiful ceremony. Location: 2405 S Yosemite St, Denver, CO 80231.